Household is the unit of the community Saath works for. Saath envisions to not only benefitting an individual but the entire family, which would lead to development of the community at large. When a household is addressed and each member is taken into consideration, the unit as a whole grows together. Finance is one of the crucial factors in this growth process. For this financial empowerment, the two co-operatives are currently functioning. Ever since its inception, it has been growing in leaps and bounds. While various activities are continuously conductedin the communities, it has been observed that most of the people tend to spend whatever they earn. Sensitizing them merely through money management sessions or lectures does not suffice. A substantial yet gradual process of guiding them and taking a step with them was required. As the proverb goes, “The art is not in making money, but in keeping it.” This holds true for everyone regardless of their economic background. Saath believes that by inculcating the habit of regular savings in people, it can help people get rid of poverty. With the aim of making everyone, especially belonging to low income group, aware about their spending and realizing the importance of savings, an informal group started way back in 1994. Initiated in 1994, Saath first started facilitating and providing services for savings in a community-based model. In 1999, Saath expanded its services with small loans. As demand grew, Saath established its operations in a more formal manner, with the establishment of Community Based Organisations (CBO’s). In 2002, two new CBO’s were formed to work in two different areas of Ahmedabad. In March 2010, all the three CBO’s came together to form, The Saath Savings and Credit Co-operative Society Ltd. Recently the cooperative has got the permission of further expansion in complete Ahmedabad district. The SSCCSL was started as an informal group in 1994. The SSCCSL was started with the aim of building a sustainable community-based organization to provide financial services to the socially marginalized and economically deprived sections of society, in order to eventually reduce poverty and bring prosperity.It became a registered cooperative in 2002. Its unique model has led to its expansion into nine branches in the city of Ahmedabad.It has over 20,000 shareholders with a share capital of over Rs. 80 lakhs. 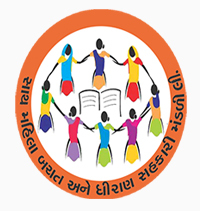 Saath started working in Dholka and Viramgam district in the year 2009 under Child Rights for Change programme. One major component of the programme was women empowerment. After working in one and half year in 2011, Saath decided to start its own initiative called “Saath Mahila Saving and Credit Cooperative Ltd”. The independent and legal identity provided us scope and opportunity to work on both the components of savings and credit as well as concentrate on overall development of women. The rural cooperative has also recently got the permission of further expansion in Ahmedabad district. Financial and banking matters in rural set upare usually handled by men. Hence, women in rural areas are not as independent as those in urban settings. The society was registered in 2011 with the aim of empowering rural women economically by promoting the habit of savings. It was a step forward for decreasing the prevailing gender gap. It is now functioning in 120 villages of Dholka, Viramgam, Bavla and Mandal taluka of Ahmedabad district. There are nearly 4400 members till date. In the period of five years, the total compulsory savings has reached to Rs. 57 lakhs.